Our cats all love the comfortable life (or at least mine do). But, so many times I buy a cat bed and both my cats want to use it at the same time. So how to solve this problem. 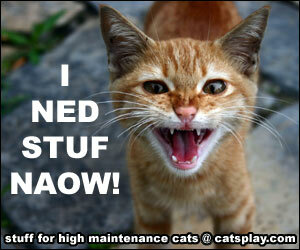 Well, maybe the Kitty City Steel Claw sleeper condo will help you and your furry felines out. 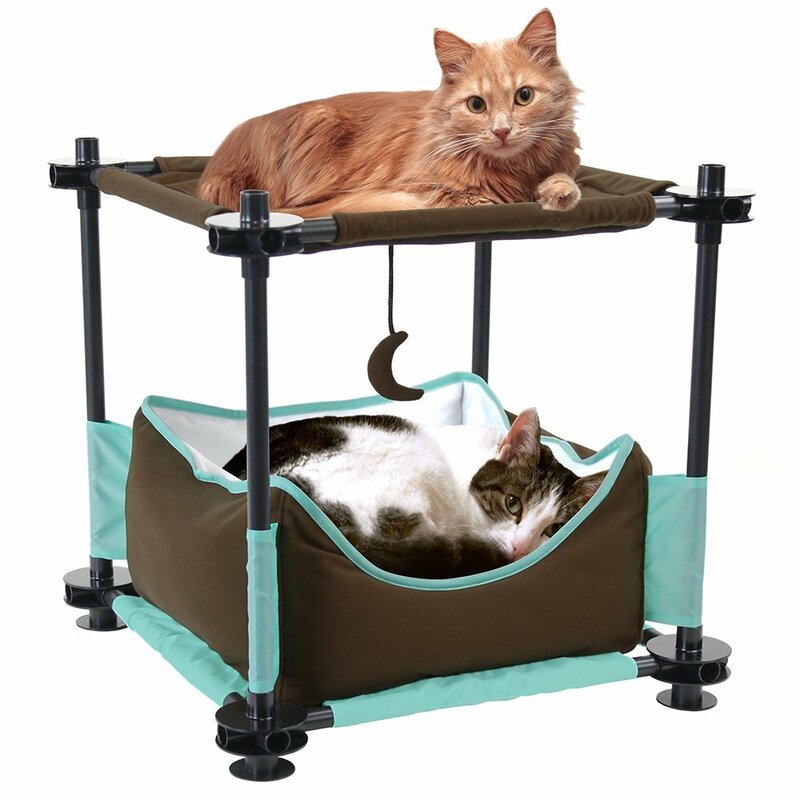 This offers a comfortable bed for any cat and even better two cats can use it at once – the only issue you might have is who gets the top bunk and who sleeps in the bottom. Kitty City has been known for some time as one of the premier creators of super cat products which are modular. They are great for buying one piece and then later on as money allows you can buy a second piece and then join up with the first. This comfy condo is no different as you can attach it to other panels and items in the Kitty City range to make it part of a complete cat experience. 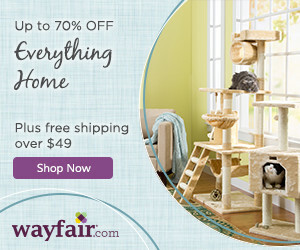 This is a completely expandable environment that gives your cats the chance to partake in different activities each day. 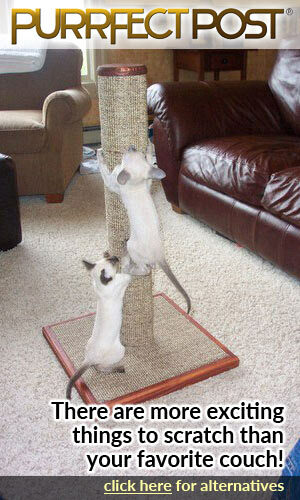 Whether they want to climb, sleep, play the Kitty City allows you to create the best environment for your cats. Making sure that they get all the stimulation they need as well as quiet and comfortable sleeping places. And with over 1 million kitty cities sold you can be assured that one million purchases cannot be wrong. But before we get too far into what you can do with your steel claw sleeper further down the line, what is available straight out of the box. Well, this cat condo is made for multiple cats. It’s approximately 17 inches high, 17 inches wide and 17 inches in length and is made from premium quality materials which are durable and sturdy. On the base, you get a comfortable fleecy bed with lovely high sides. Your cat will be warm and cosy in this bed and the high sides will keep your feline lovely and snug. The second level of this condo sleeper has a soft fleecy canopy which can act as a sleeping area for a second cat or even just a perching area. Attached to this canopy is a fun dangly toy so if they get bored with sleeping and perching they can then play for a bit. 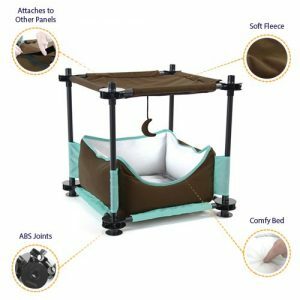 This kitty city sleeper is a completely open structure which allows your cat to access it from any direction. 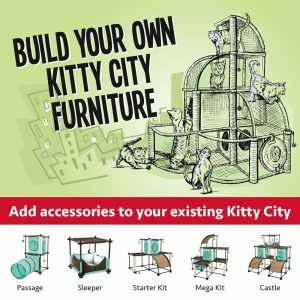 Kitty City furniture is designed to be simple to put together so you can make some great activity centres. This sleeper actually comes with 12 pipes, 8 easy fittings and 4 stability caps. Its simple to put the pipes together and they have heavy duty ABS joints which firmly hold the pipes in place. The top resting area has velcro straps fitted to it as well which makes it easy to attach to other pieces in the Kitty City range. Kitty City furniture is well made and with its modular capabilities, its great to buy a piece at a time. Not only that but the more pieces you get then the more combinations of furniture you can build. So if your cats feel a bit bored with their activity center then change the pipes around and you get a whole new activity center. It means that your cats will not get bored with their new bed very quickly. The steel claw sleeper like other pieces in the range is easy to keep clean. The fabric can be spot cleaned with a mild, pet safe soap in order to keep its original appearance. There is also a manufacturers warranty available for 6 months for defective or missing parts. You can get the Kitty City Steel Claw Sleeper from Amazon. So if you want to get started building a great activity center for your cats which will give them enjoyment for years to come then this is a great starter piece. Get The Kitty City Steel Claw Sleeper Now from Amazon! 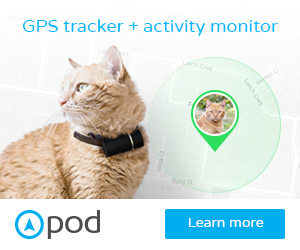 Feline Funtimes with the Original Catpod and Kitty Pucks? This post can contain affiliate links including Amazon Associate links. If you make a purchase after clicking on the links, Cool Stuff For Cats will get a small commission which helps me continue this site. 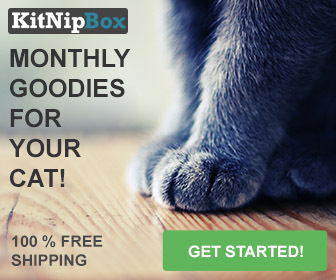 As a cat lover I am dedicated to finding the coolest and best products for cats and will not recommend anything I do not believe in. Copyright text 2017 by Cool Stuff for Cats.